The Google Motion Stills app has been updated with a new feature called AR Mode. 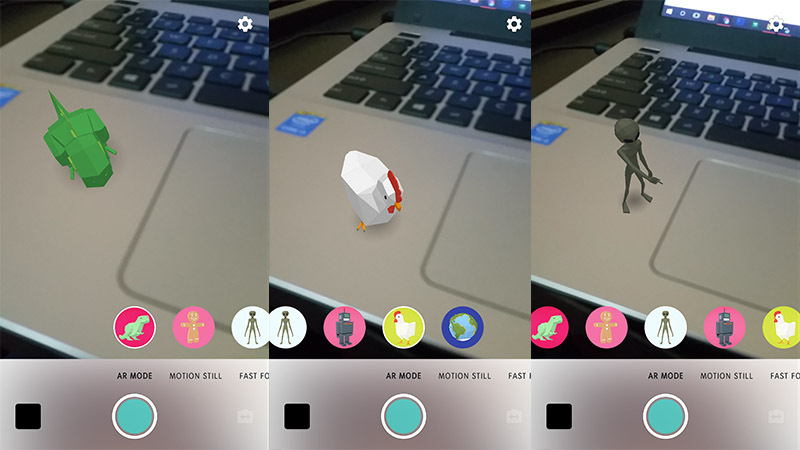 This mode brings AR stickers to all Android smartphones, allowing users to use them in the videos. These are way different from the AR Stickers which we saw on Google Pixel smartphone in the default camera app. With the upgraded Motion Stills app, any smartphone running Android 5.1 or newer version can run this app without the need for any special hardware. The Motion Still app was first launched in June 2016 by Google for iOS users first, surprisingly Android users got this app in July 2017. The app basically allows users to create small GIFs and looping videos. The AR Stickers on Pixel smartphones uses AR Core to bring the AR Stickers from popular movies and TV Shows to pictures and videos. All that user needs to do is download the Motion Still app from the Google Play Store. Launch the app and switch to the “AR Mode”, this will show different stickers which you can place on a surface. You can tap to change the position of the sticker and two-finger gesture to rotate it or change the size. The user can now record a video and share it as a GIF through social media. The Motion Still app is supported on the Android smartphones running Android 5.1 and above. This app is available to download free from the Google Play Store.